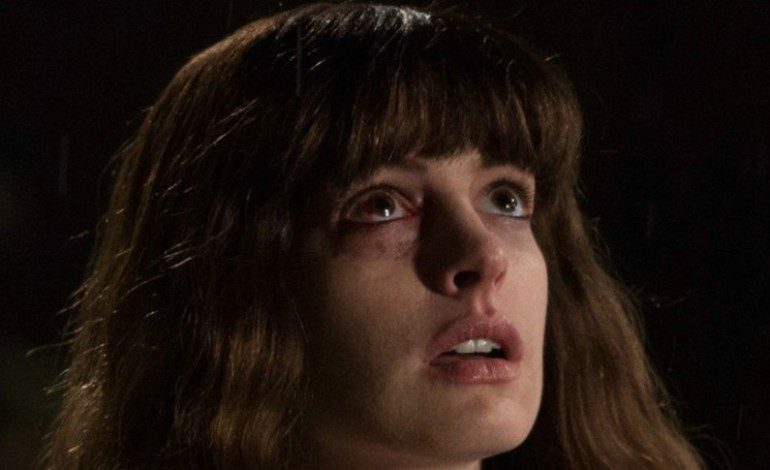 Colossal, the upcoming monsters-in-your-brain flick starring Oscar winner Anne Hathaway, has been a genuine curiosity since it was first announced. On Friday night, the film took its first bow, making its world premiere at the 2016 Toronto Film Festival. And, well, this nutty high concept movie appears to be living up to its name since early reviews for the feature are pretty nuts, meaning all over the map. Consensus titles are boring though, right? The premise is certainly loony. Hathaway stars as Gloria, a hard-drinking women in the throes of a mental breakdown, who learns that her movements can control a giant Godzilla-like kaiju monster located in Seoul, Korea. So, she can essentially cause a city-wide devastation brought on by her own mental anguish after being dumped by her boyfriend. Nutball high-concept premises don’t get much more bonkers than that. Spanish filmmaker Nacho Vigalondo (who earned an Oscar nomination for the 2003 short film 7:35 de la mañana) wrote and directed the feature that also stars Jason Sudeikis, Dan Stevens, Austin Stowell and Tim Blake Nelson. The film also received a notable, if perhaps unwanted, bit of attention as a lawsuit came about in the summer of 2015 over similarities between the film and Godzilla. Japanese company Toho and Colossal‘s production company Voltage Pictures were able to reach a settlement in October of 2015. As of now, Colossal doesn’t yet have distribution in the United States, however that may certainly change soon given the players of the film and the fascinatingly berserk early response to the film. COLOSSAL is crazy fun. If you like monster movies like Godzilla it’s a must see film. Will def surprise you. Don’t read much about it.